The failed presidency of George W. Bush, the U.S. 43rd President, now comes to haunt the Republican wanna-be for president. Jeb Bush ignorantly wants to be the 45th president, thinking that he has a chance to be the 3rd person with the name of Bush to be President of the United States. It didn't take long for many to realize that all the money in the world could not help him but he continues to run. He owns the name of Bush, and in fact IS the brother of George W. Bush, one of the most failed presidents in U.S. history. To date, Jeb has spent more than any other candidate, almost as much as all of the other candidates combined. Still, he is in single digits when it comes to voter support in every poll. He is trying very hard to gain recognition in the polls, but the Republican supporters want somebody different, an outsider, someone who is not 'politically correct'. They seem to have no where to go except to now follow Donald Trump. The Republicans may have had a chance to regain the White House, but the party seems to continuously try to destroy itself, some in an attempt to support anyone who holds the last name of Bush which is a big mistake. The Bush ego continues to shine, as the candidate realizes that he cannot win, but he continues to try and challenge the front line candidate - Donald Trump, another mistake. Neither candidate has a chance to win the White House. Even George W. Bush would admit for what we know now, that he would not have invaded Iraq. 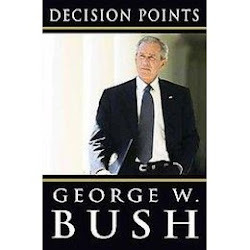 Thousands of U.S. soldiers died because of his decision to attack Iraq. The war is widely accepted to have been a disastrous mistake, but what is more disastrous is the fact that George W. Bush ignored numerous warnings of a major terrorist plot, leading up to September 11, 2001. He continued to make one mistake after another, even fooling the American people for his intentions to invade Iraq. In a special televised report, it was stated that George W. Bush's intention to invade Iraq is because he wanted to take the country's oil. Many people are not aware of that. Yes, he was a newly elected president, but he did absolutely nothing to help prevent such an attack on the mainland of the United States. He continued to only take advise from his ill-informed advisers. In the Republican field of contestants today now running for the nomination of President to replace Barack Obama in 2016, one of the candidates named Donald Trump, now leading in the polls, openly states in an interview on October 16, 2015 said " When you talk about George W. Bush--I mean, say what you want, the World Trade Center came down during his time." Jeb Bush obviously heard these comments by Donald Trump at a debate, after Jeb had said, "We were attacked, my brother kept us safe." Really?!@/@!?%/@/$!. How did he keep Americans safe when the Twin Towers came down? How many lives were lost? How could he keep America safe when all he wanted to do was to take vacations. Yes, George W. Bush took more vacation time than ANY other President in modern history. A CBS White House reporter named Mark Knoller stated in a tweet on August 8, 2014, that Obama had taken 19 vacations totaling 125 days by August last year. But now let's compare with George W. Bush. The Republican president took at least 65 combined trips to his Texas ranch and his parents' home in Kennebunkport, Maine, which totaled 407 days at the same point in his presidency. Not included in this data are trips to the Camp David presidential retreat in western Maryland, which Knoller doesn’t count as "vacation." Knoller told Yahoo! News that, through Aug. 12, 2014, Obama had made 33 visits to Camp David for all or part of 84 days, while Bush had been there 108 times for all or part of 341 days. President Bush spent at least 20% of his presidency vacationing at the Crawford ranch. So what does this data prove? It displays a totally different leadership style between Obama and George W. Some of the late-night comics said that this symbolized a lackadaisical approach to the world's most important day job, an impression bolstered by Bush's periodic two-hour midday exercise sessions and his disinclination to work nights or weekends. Now, the last noted fact here is disastrous to George W Bush. He spend at least a month at the ranch shortly before the Sept. 11, 2001, attacks, when critics assert he could have been more attentive to warning signs. Yes, even at the ranch, George W. did receive national security briefings, had to sign documents, hold teleconferences with aides and military commanders, and even meet with foreign leaders, but he did this in the midst of taking vacation upon vacation at his ranch.